Cup Noodles is the nectar of the gods. Admittedly, my taste buds may have been affected by the 50 miles run over the previous 10 hours. However, the McDonald’s bacon smokehouse burger was afforded no such transformation. 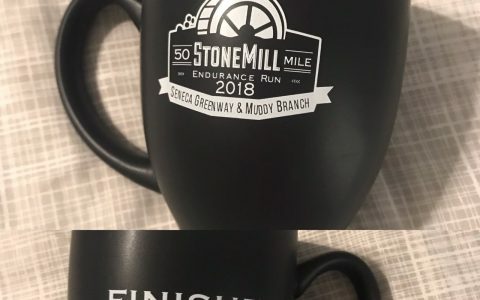 Saturday, November 17th I toed the line for the Stone Mill 50 Miler and my longest run yet. 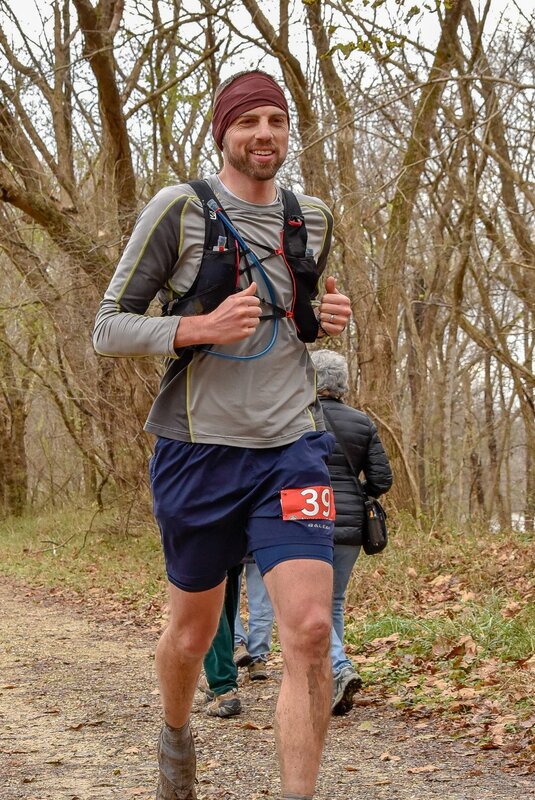 My training had been great including Catherines 50k and Big Schloss 50k with VHTRC, Iron Mountain 30, and the CATs Pounding Creek Marathon. Pounding Creek turned out to be whose muddy trails were the perfect training for SM50. 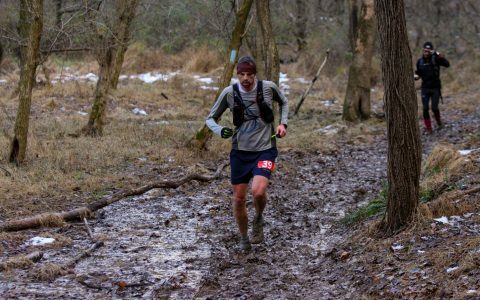 Clearly, these goals did not take into consideration the our first winter storm of the season and the trails were a crazy, muddy mess. My feet were wet within the first few miles and stayed that way the whole day. The first half was just about finding a comfortable pace and knocking out the miles. Before I knew it the sky lightened up and I dropped my headlamp in the bucket at AS1. The next couple segments dropped by uneventfully as everybody settled into their individual paces. 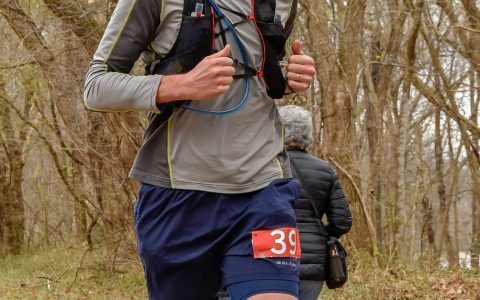 At AS3 (mile 11.7), I mixed up some more tailwind and grabbed my first bite of aid station magic (can’t pass up a brownie). From here, the field started to stretch out and I spent the majority of the rest of the miles running solo. 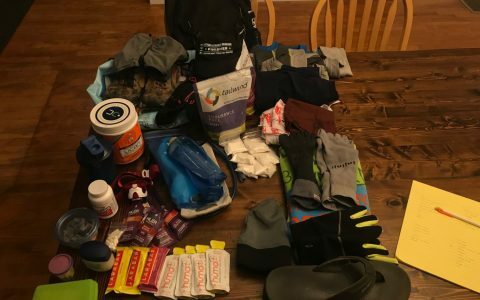 The first bag drop came at Pennyfield Lock (mile 24.3) with a chance to replenish my supplies, so I stuffed my vest with more food and headed out onto the towpath. I read somewhere that the race starts at the towpath. The next 3.5 miles felt like they took forever. 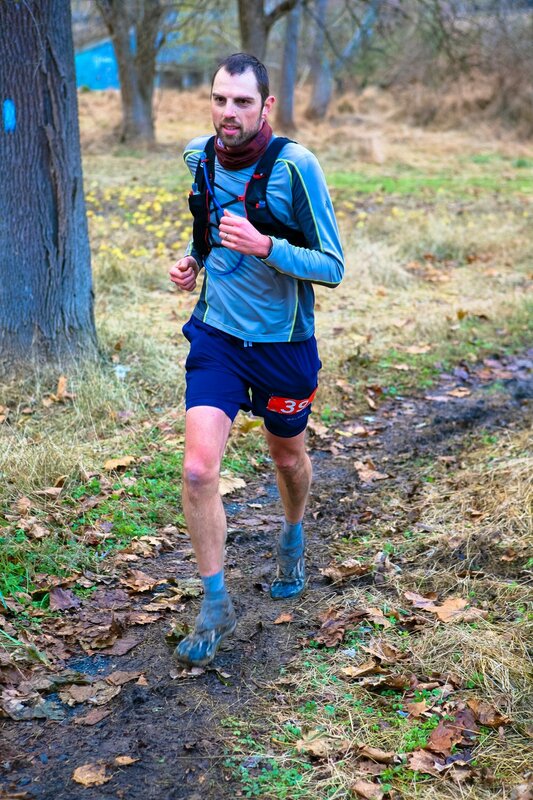 Finally, I hit the loop through Stone Mill, headed for the aid station, and prompted slipped in a big mud puddle….right before the course photographer. I hopped up, wiped myself off, and headed into the aid station to refill my tailwind. 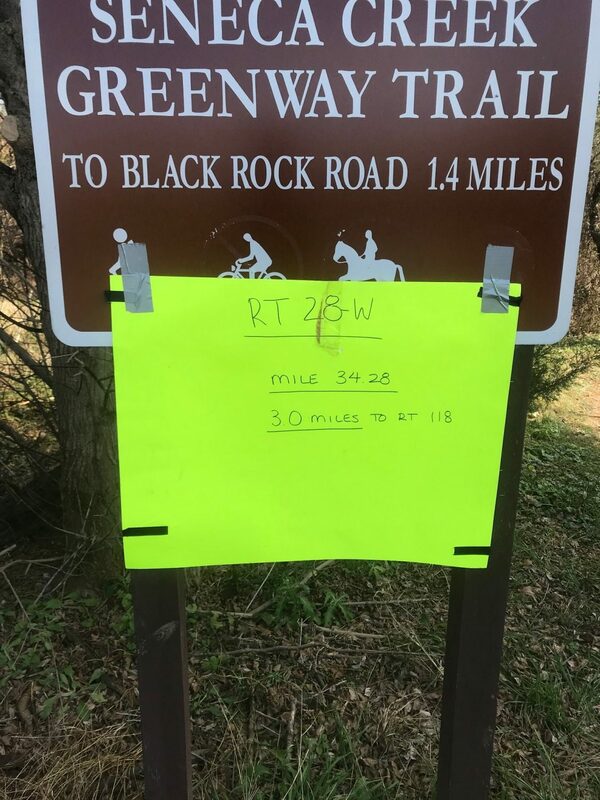 On my way back out on the trail, I took my first look at my pace and was pleasantly surprised to see that I was actually 5 minutes ahead of my stretch goal! 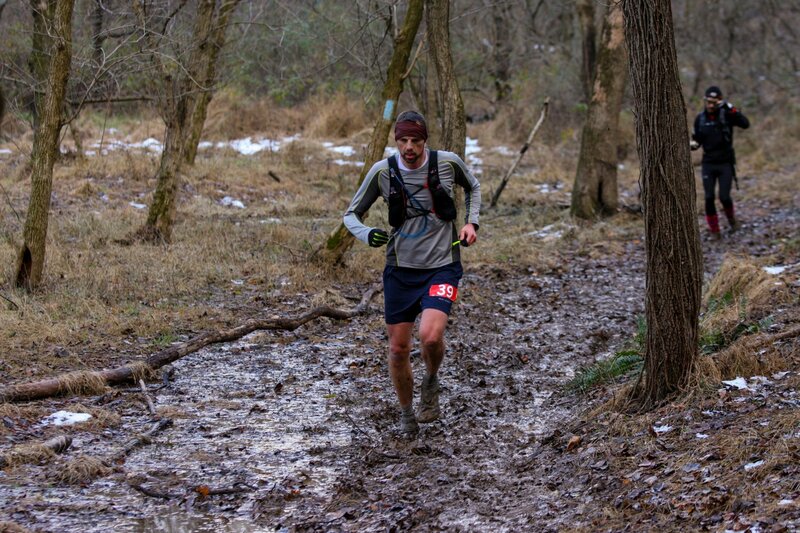 Unfortunately, that didn’t last long as the next segment was 6+ miles of mud…often up to my ankles. 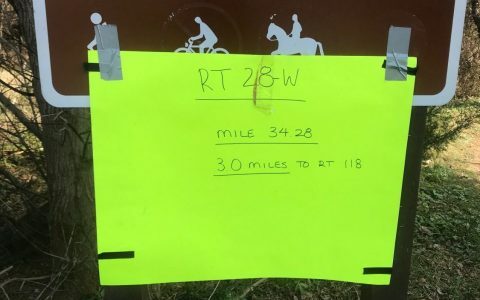 By the time I rolled into the aid station at Route 28 West (mile 34.3), I had lost 30 minutes and had to let go of my sub-9:00:00 stretch goal. I was definitely disappointed, but turned my sights to completing my other two goals and to keep things interesting, I created a new goal. NEW MID-RACE GOAL: Don’t get passed in the second half and catch as many people as possible. I was able to hold onto this one and I believe I tracked down 15-20 other runners in the second half. At the Route 28 AS, a shot of pickle juice and some chicken and rice soup brought me back to life. The next 10 miles felt good. 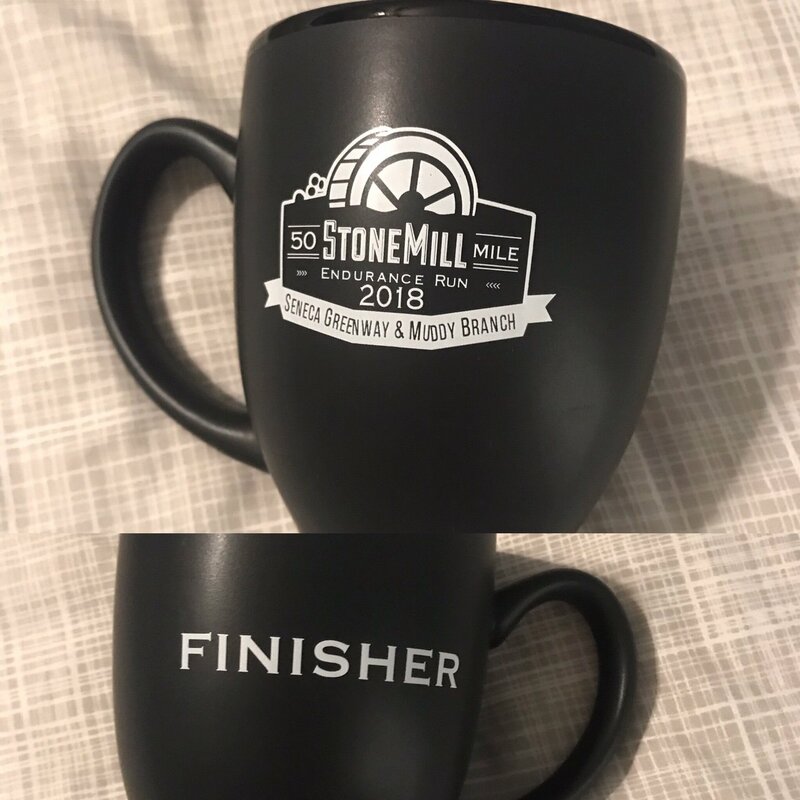 According to my calculation, I had about a 10-minute cushion to finish under 10 hours if I just kept my steady, 12:00/mile pace the rest of the way. So I took a couple walking breaks to get some calories and make sure I wouldn’t fade at the end. This probably saved the day for me. The last two segments were supposed to be four miles each, but according to my watch, the second to last segment was actually 4.98 miles which ate up my entire cushion. 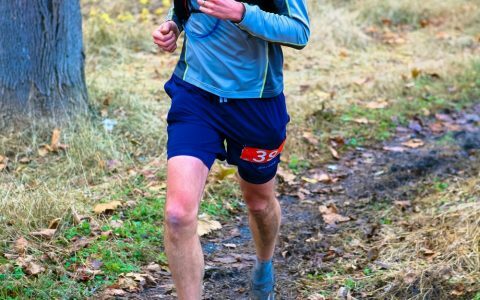 I left the last aid station with 47 minutes on the clock. This meant that I had to hold a sub-12:00 pace for the final miles which was faster than my average for the first 46. The next couple miles drug on forever, but once I hit the road I knew I was good and cruised in with a time of 9:55:42! Part of the appeal of trail running for me is the lack of input. This is one of the main reasons why I don’t run with headphones, but that doesn’t mean I run without music. Ten hours of running mostly by myself allows my mind to wonder and for me, random thoughts often steer towards music. I found myself singing the usual songs including The Steel Wheels Wild As We Came Here and To the Wild (my trail running anthem). From here, the soundtrack bounced all over the place, not limited to my personal library. From U2 Sweetest Thing (probably following some of that aid station magic), to Jonathan Reuel Water Fall on Me, to Backstreet Boys I Want It That Way (no idea where that one came from). However, the song that brought me home in the final miles was the most fitting and definitely the most random–East Bound and Down by Jerry Reed (Smokey and the Bandit). Let it all hang out ’cause we got a run to make. Running Buddies – When running for 10 hours–mostly by myself–even the briefest, seemingly insignificant interactions can give a big boost. I’m sure they don’t realize, but Kristen Serafin and Carl Bligan gave me that boost. Many thanks to both of them! Aid Station Magic: chicken/rice soup, broth, chicken noodle soup, brownie, peanut m&ms, pickle juice. 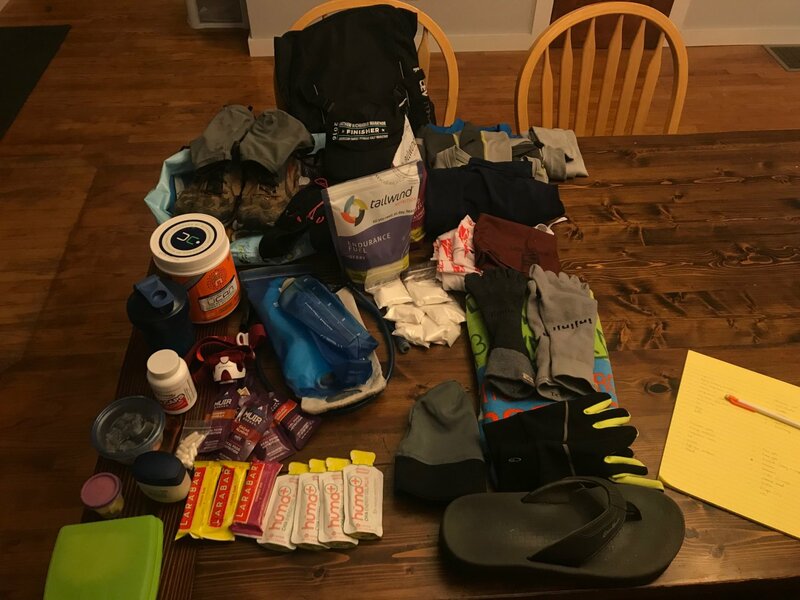 Aid Stations: I carried most of my nutrition with me, but the aid stations were critical and I can’t say enough of the volunteers. They got me in and out quickly each time, helping me mix up my tailwind, and the soup was a life saver! Blood – Yup, minor cut on the knee. Didn’t feel it happen, but I’m guessing it was from fall #2 before the Stone Mill AS.